Ewing Athletics is back with another new look for the 33 Hi, this time in purple suede. 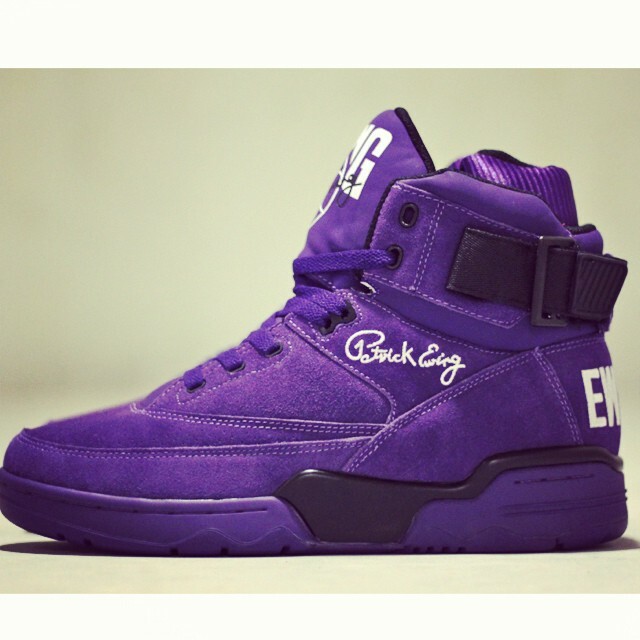 Ewing Athletics comes back with another new edition of the 33 Hi, this time in purple suede. This classy new look for the iconic Patrick Ewing signature shoe features an all-over purple upper and sole that could make even Grimace jealous. There is no official release date yet, but Ewing Athletics reports a drop sometime next month. Get a preview look below, and let us know if you're feeling the latest 33 Hi.